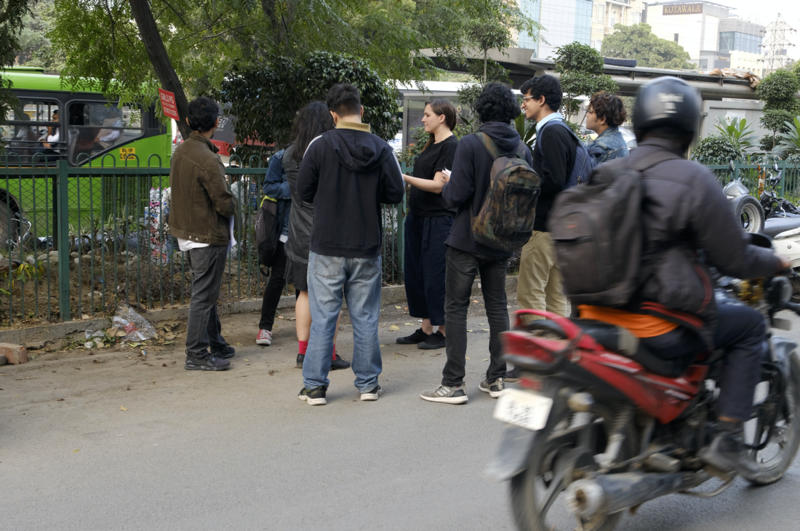 Listening for Instruction surveys how sounds are used as signifiers in public spaces - reviewing the current position of automated sounds in our cities. Collecting beeps, hisses, tones and automated voices, this work looks at how human workers are replaced by recorded sound, how sound is used to direct our behaviour, how machinery and technology has been designed to interact with us, and how the voice and human representation is positioned within all this. Probing current debates around the potential changes automation brings to working lives this study advocates for an automated future, supporting the anti-work movement’s call for ‘the right to the idle’ - the artists commit their own voices into a hybrid synthetic persona in support of this. - Virtual Voices (sound, 2 /3 / 8 channel, 6m 35s). Read More | Listen to extract. - Journey (sound, stereo, 7m 14s). Listen to extract. - Dictionary of Beeps (zine, 29 pages). Read online. 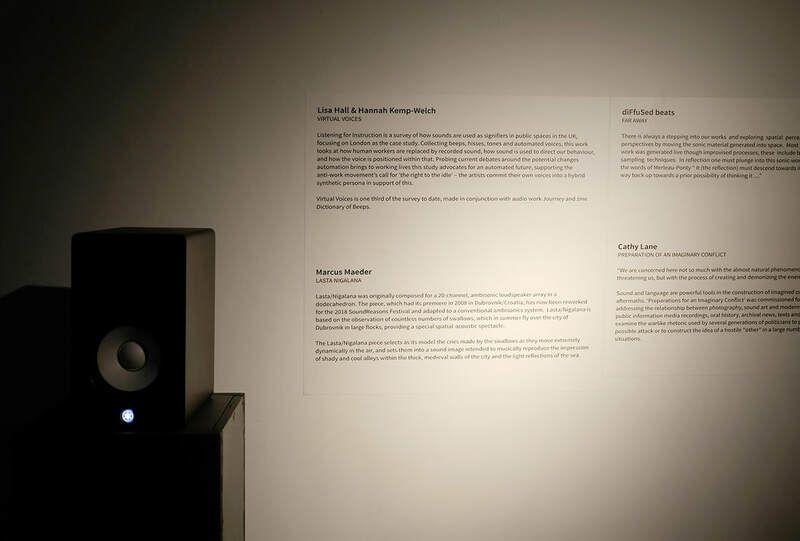 A collaboration with Hannah Kemp-Welch, first exhibited at Fringe Arts Bath, Bath Festival 26 May - 10 June 2018, with an 8 channel edit of Virtual Voices exhibited at Sound Reasons Festival 26 October - 21 November 2018 and at concert evening come in early 2019 at London College of Communication. Sound Reasons Festival, India. Group Show: Venzha Christ, Marcus Maeder, Shun Owada, Arnont Nongyao, Salomé Voegelin, Ish S, Cathy Lane, da Saz, Suvani Suri, Paul Purgas, diFfuSed beats, Lisa Hall & Hannah Kemp-Welch, Wicked Mannequins, Bidisha Das, Kaushal Sapre and Dipali Gupta. 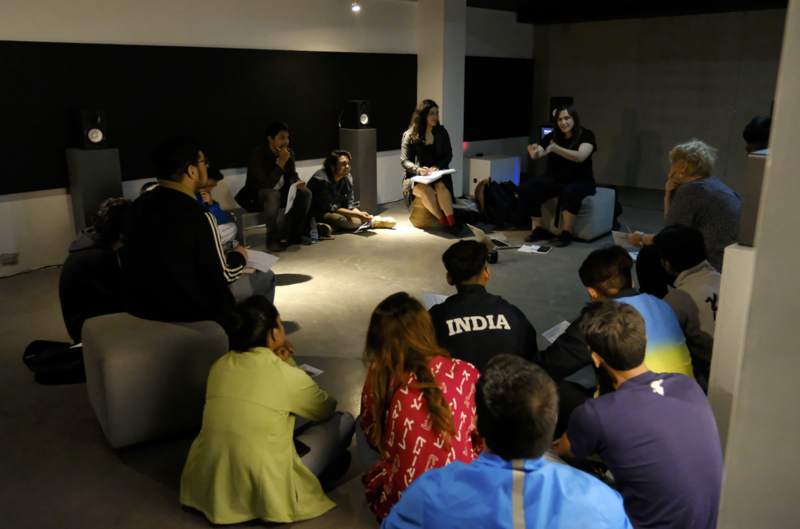 Dictionary of Beeps Delhi Workshop at Sound Reasons Festival 2018.